This is a Sponsored post written by me on behalf of Kaeng Raeng. All opinions are 100% mine. As you all have probably read by now, I've been on a quest for the past few years to live a healthier life in effort to increase my health and happiness in life. It's worked out pretty well and some of the things I have done over the years include sleeping more, eating less processed foods, making my own sodas and trying to move around more. As with everything, I've had my ups and downs with my health and wellness journey and have been trying to recover from one of my recent downs after moving. As you probably have seen in other posts, I managed to hurt my back pretty badly when packing and moving boxes, so I wasn't able to be on my feet very much at all for a few weeks. This has meant it took a long time to unpack over the last month and we've been eating a LOT more takeout because I just haven't felt like cooking. Luckily, I'm now able to stand much longer and be able to cook, but I was still feeling blah and icky from the extra processed and heavy foods. 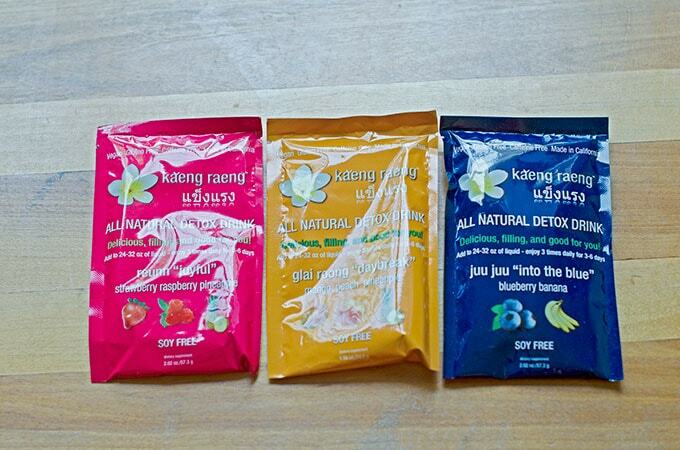 So, when Kaeng Raeng offered to send me a kit to do their 3-day detox cleanse, my interest was piqued. Now, I've never done a cleanse before, but I know a lot of people swear by them. I don't even juice and just occasionally have a whey protein smoothie for breakfast, so this was all new to me. I have also heard horror stories about cleanses and how they can taste less than great and sometimes have you in the bathroom all day, so I honestly headed over to Amazon to read some of the reviews before I said yes. Kind of to my surprise, they were all positive, so I thought what the heck, what's the worst that can happen? Here's how the cleanse worked for me. 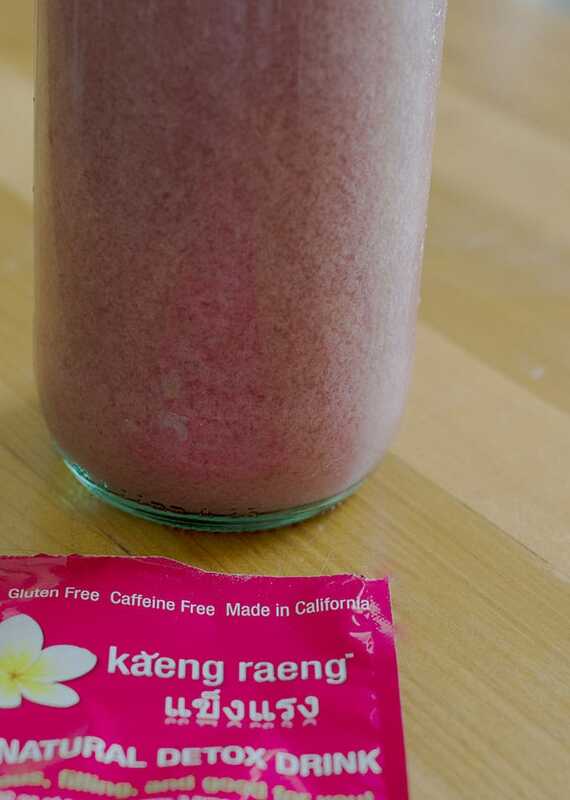 Kaeng Raeng is available for purchase at Kaeng Raeng on Amazon, select Whole Foods Markets and KaengRaeng.com where you can also save 15% by using the Kaeng Raeng coupon code smartsavvy10. 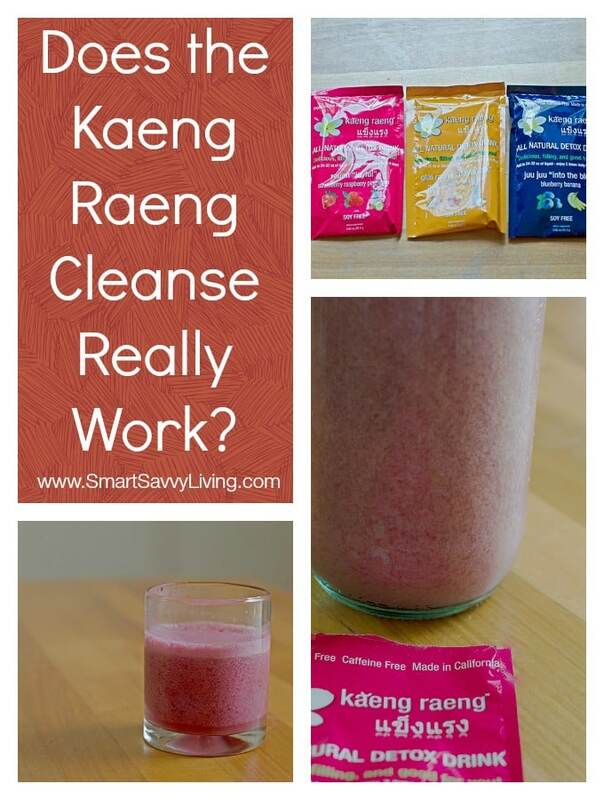 Be sure to check out this quiz to see which cleanse will work best for you and Kaeng Raeng on Facebook for more information. The drinks do have some sediment, which will settle as it sits. In a cleanse I think people are generally looking for at least one of a few results: to feel better, to look better as far as skin, glow, etc. and/or to lose a bit of weight and I was no different. I mostly wanted to use the cleanse as a jump start to feel better and get back to healthier eating, though. I have to say, as much as I was honestly skeptical at first about giving this cleanse a try, I really did get the desired effect without feeling like I was being tortured for the 3 days. I didn't really prep to start the cleanse other than to try to eat more veggies and less fatty foods and thankfully didn't have any adverse bathroom issues, other than having to pee more frequently, which I was expecting with all the extra water I was drinking. 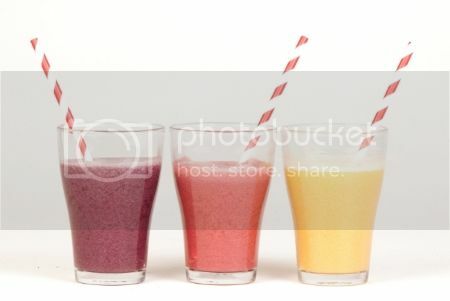 The drinks are very easy to prepare. I put my first one, the strawberry raspberry pineapple, in a large glass bottle with about 30 oz of water and shook. 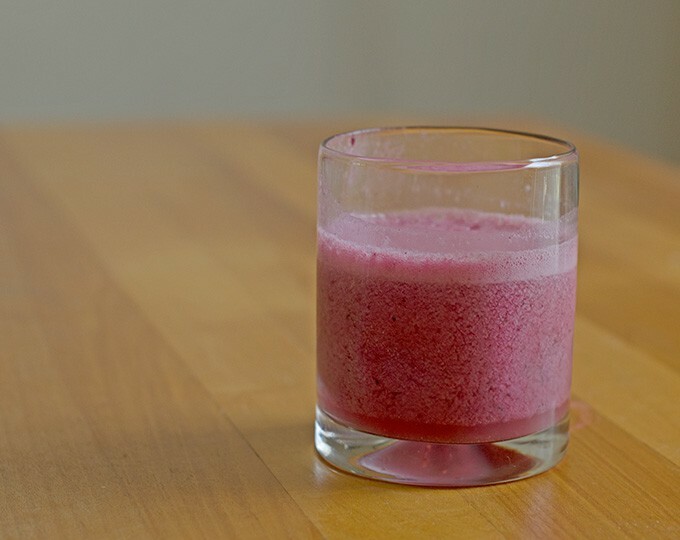 It definitely had several areas that were more concentrated and gritty, which I didn't find overly palatable, so I poured the Kaeng Raeng cleanse into the blender and it was much better to drink. The Mango Peach Pineapple with added berries and cherry juice. I tried the first drink without any additions, and while it didn't taste bad, it was rather bland. So, for my next drink, the mango peach pineapple which also ended up being my favorite, I added some frozen berries and cherry juice and it was so much more enjoyable to drink. The cleanse drinks are also not very sweet, so you may want to have something like raw honey on hand to add a bit more sweetness. I have to say I was surprised that I was never hungry throughout the cleanse, but I am sure that is because of all the liquid. I also didn't really miss chewing either, but I had some sliced cucumbers, peppers and other veggies and fruits on hand just in case. 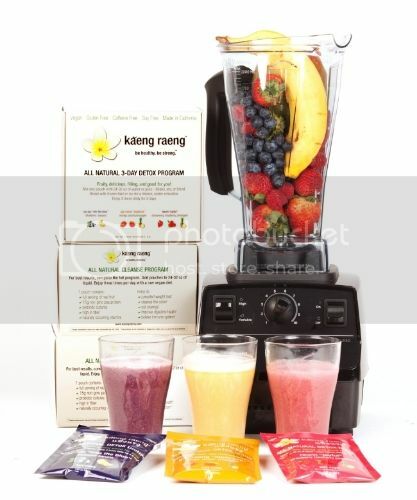 Is the Kaeng Raeng Detox Cleanse a Smart and Savvy Choice? So how did I feel after my 3 days on the Kaeng Raeng cleanse? Pretty darn good, actually. The thing I appreciated most is having more energy instead of feeling blah and lazy like I had been for weeks. One thing that also really surprised me is just how much my skin had cleared up. Before starting the cleanse, my skin felt it had been transported back to my teenage years, but after the cleanse it was again smooth, clear and looked so much better. Yes, I also lost a few pounds too so I think this would be a great cleanse to do before going on the vacation at the beach this summer! Would love to try this myself. Have never heard of before. I’d love to try this so I want feel so blah. I appreciate learning that it really works.